UP NRHM Application Form 2019 – The Uttar Pradesh National Rural Health Mission (UP NRHM) has released the Application Form for UP NRHM Recruitment 2019. The UP NRHM Application Form 2019 has been made available at the official website i.e. sams.co.in. Before or till February 11, 2019 candidates will be able to register for UP NRHM 2019. At first, candidates need to register then only he/she will be able to fill up the form. The candidates who will submit the application form till the last date those form will be only considered for the recruitment process. From this page, candidates will get full information regarding UP NRHM Application Form 2019. 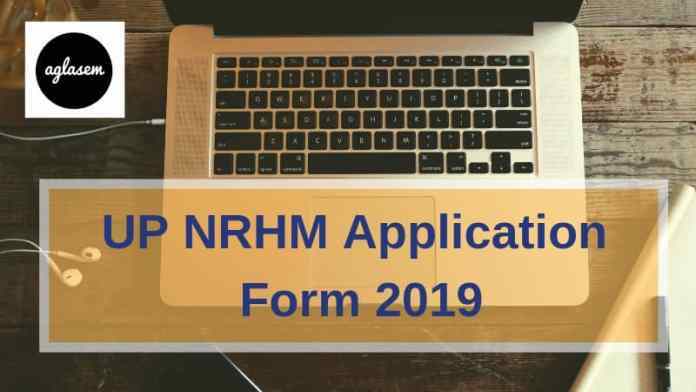 Latest: UP NRHM Application Form 2019 has been released, Scroll down to access the link. In the application form candidates need to fill the valid details. If in form any incorrect details will be mentioned then the form will be rejected. For more information regarding UP NRHM Application Form 2019. Apply Online: Click here to Register for UP NRHM Recruitment 2019. How To Fill UP NRHM Application Form 2019? After completion of the registration, candidates should take the print out of it for future reference. Aspiring candidates can follow the general steps of how to fill the online UP NRHM Application Form 2019, as listed below. Step 1: Go to the Application Form Page directly following the link mentioned above. Candidates will have to scroll through the list to find the link for applying for the position they seek recruitment in. On clicking at the Apply now for which post you want to register below show screen will open. Step 2: On Clicking at the Apply Now Blue Button. Login Registration Page will open, same as shown in the image given below. Step 3: After successful registration with UP NRHM, you will receive an SMS comprising of your User ID and Password details, which will be required for all future logins. Step 4: Before proceeding to fill the Application Form, you have to go through the Eligibility Criteria of the position you are applying for, and only when you see you are eligible, you should proceed to the next step. Step 5: Now you will have to find the link to your application form (that is specific to the department and position you are applying for) from the list of Application Form links given on the page and click on the specific link to go to the Application Form. Step 6: You should fill in your basic details like Date of Birth (DOB), Address, State, Mobile Number, Email ID, etc. very carefully along with other mandatory fields. Step 8: After filling in all the details, there is a provision for a preview of the details you entered in the Application Form, by clicking on the ‘Preview Application’ button, before final Submission. 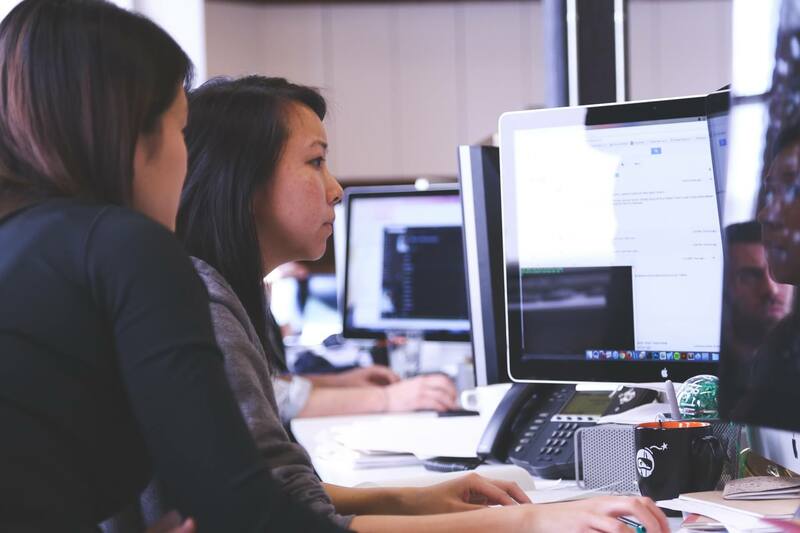 You will be able to make necessary modifications and additions to your application form if applicable. After the final submission, the NRHM will allow no change to be made to your application form under any circumstances. 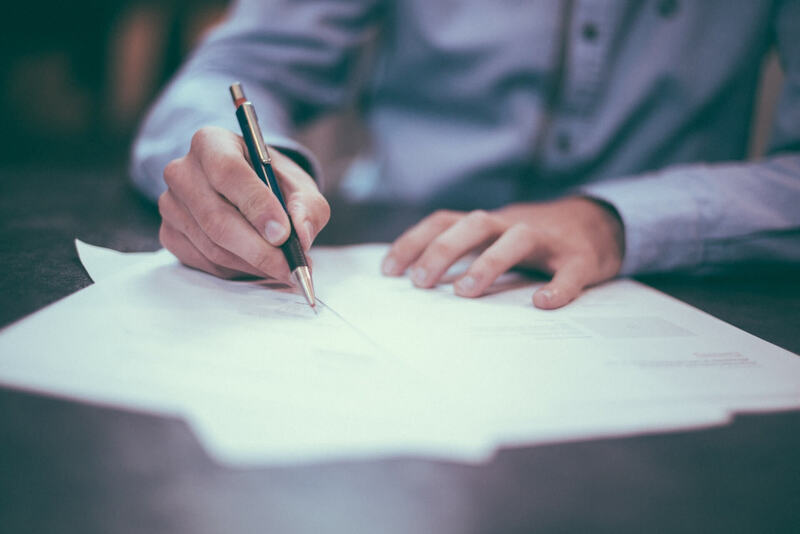 Step 9: Before final submission candidates are required to read the declaration given on the website carefully and provide your consent on it. Failing to do this, your Application Form will not be considered as complete. Step 10: After this, click on the ‘Confirm and Submit Application’ button for your final submission. Confirmation of the Submission will be sent on the Registered Mobile Number (RMN) in the form of an SMS. that will ensure application reference no. which can be used for future reference. you are hereby advised to print/download your Application Form at this point using the print option. 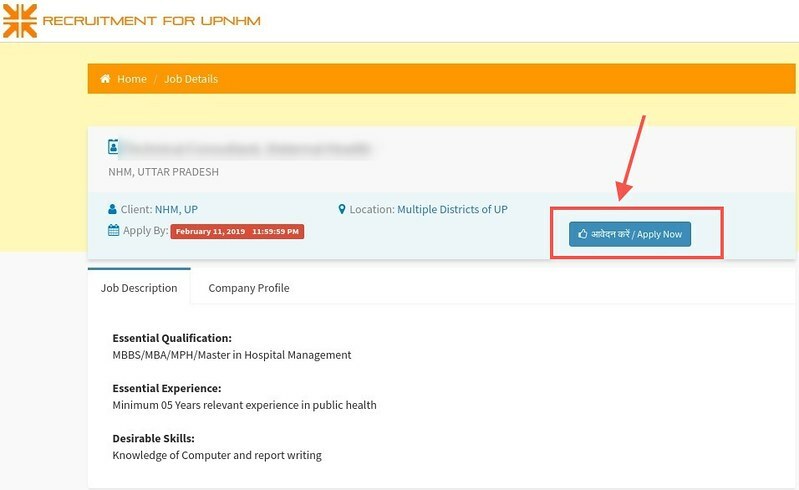 Candidates applying for UP NRHM Recruitment 2019 are advised to check their eligibility and district-wise list of vacancies through the official website before filling the Online Application Form. Candidates will require the following documents handy all throughout the process. Scanned image of the candidate. The National Health Mission (NHM) seeks to provide universal access to equitable, affordable and quality health care, which is accountable, yet at the same time responsive to the needs of the people, resulting in the reduction of child and maternal deaths as well as population stabilization, gender, and demographic balance. Through the UP NRHM Recruitment 2019, the UP NRHM seeks to recruit over 1100 candidates into vacancies on the state/divisional/district/block level across medical centers across the state of Uttar Pradesh. 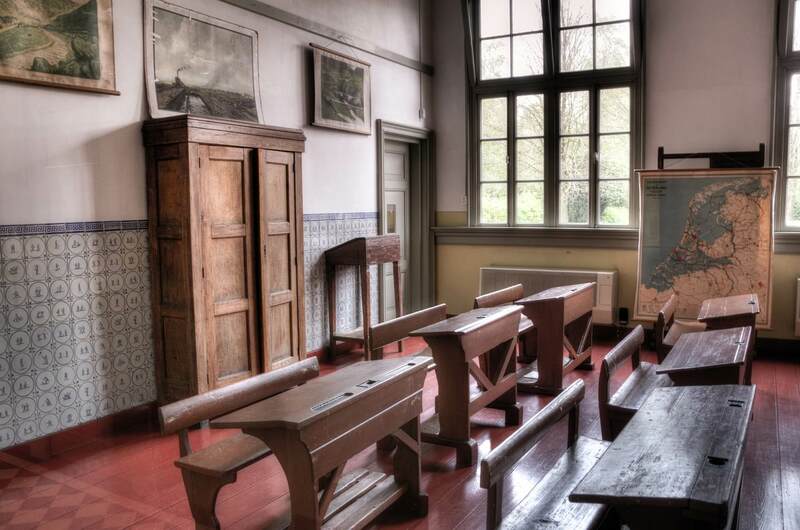 There is no application fee required to apply for UP NRHM Application Form 2019.